IDLC Finance Ltd. Commenced Its Journey in 1985, as the 1st ever leasing company in the country. IDLC was licensed as a financial institution by the country’s central bank Bangladesh bank, following the enactment of the financial institution Act 1993. Over the last two and half decades, IDLC has grown in tandem with the countries transition in to a developing country and has emerged as Bangladesh’s leading multi product financial institution. To encapsulate the evolving nature of the company, IDLC has changed its name IDLC finance ltd. From earlier Industrial Development Leasing Company of Bangladesh Limited in August 2007. Since 1985 when IDLC was formed as the pioneering leasing company in Bangladesh, the company continues to evolve as an innovative financial solutions provider. IDLC is now able to offer its customers integrated and customized financial solutions all under one roof. The companies wide array products and services range from retail products ,such as home loans, car loans, corporate and SME products including lease and term loans, structured finance services are ranging from syndication to capital restructuring and a complete suite of merchant banking and capital market service. IDLC securities limited, a fully owned subsidiary of IDLC, offers full-fledged international standard brokerage service for retail and industrial clients. It has seats on both Dhaka stalk exchange limited and Chittagong stock exchange limited. It is also a depository participant of central depository Bangladesh limited. The Internship Report entitled “Over all Non Banking financial Activities & performance of IDLC finance Ltd.” has been submitted to the Office of The Dean, in partial fulfillment of the requirements for the degree of Bachelor of Business Administration, Major in Accounting and Information System (School of Business Administration on 31st December, 2012 by Md. Masud Al Mamun, ID # 081-32-810-074. The report has been accepted and may be presented to the Internship Defense Committee for evaluation. (Any opinions, suggestions made in this report are entirely that of the author of the report. The University does not condone nor reject any of these opinions or suggestions). Leasing Company (IDLC) Limited. It started operation in the year 1985 as the pioneer leasing company as to facilitate lease- financing and capital investment in industrial sector, with the view of “Become the best performing and most innovative solutions provider in the country”. For introducing new multitude of diverse financial products and services in 2007 the company changed its name to IDLC Finance Ltd. Over the last two decades IDLC has contributed relentlessly in the country’s transition into a developing country and has emerged as Bangladesh’s leading multi product financial institution. The company now offers financial and technological solutions to both institutional and individual clients to cater for their unique requirement. I have been assigned to do my Internship program in the IDLC Finance Limited, Consumer Division, in Mirpur as a partial requirement of the B.B.A Program. It is a three credit course to complete the B.B.A program of the Department of Accounting & Information System. I prepared this report on direction of my supervisor Prof. Dr. Md. Ashraf Ali Khan, Department of Accounting, ShaikhBorhanuddinPostGraduateCollege, on “Over All Non Banking Financial Activities & Performance of IDLC Finance Ltd.”. This report has been prepared on the basis of information that I have known from the secondary information and the information I have collected during my internship from IDLC Finance Ltd. The purpose of the organizational part is to demonstrate the experience of the twelve week internship program and analyze the activities, performances and also to demonstrate their strength, weakness, opportunities, threats and other business affairs of IDLC Finance Ltd. This part of the report encompasses a brief rundown on the various functions and operations of the Consumer Division of IDLC. I was allowed to have a practical orientation in Credit and Collection Department of IDLC. Thus, all practical information used in this is more or less collected through the day to day orientation. The report will attempt to present IDLC of Bangladesh Ltd. since its inception with a brief introduction of its sponsors. Apart from the internal practice and company philosophy, a brief introduction will be provided on the industry as a whole and the macro and micro economic variables shaping the industry. The researcher will try to identify corporate philosophy as well as customer opinion on what constitutes a better service. Lastly, an attempt will be made to find out various problems hindering the growth of the NBFI. The researcher will attempt to present an overview of Consumer Divisions different operations. After analyzing analogous situation in other areas a steps will be suggested to overcome the barriers to progress. The paper will be written on the basis of information collected from primary and secondary sources. The primary information has been collected from the Institution and as well as some general clients of the Non Banking Financial Institution. The secondary information has been collected from the company’s annual report, corporate newsletter, branches manuals, and intranet of the company, different websites and various publications of the institution. Some opinions and ideas have been incorporated in the paper through interactive sessions, interviews and informal discussion with the company officials. The officials interviewed included the HOCCD (Head of Credit and Control Division), Head of Liability Operations, different managers, executives and high officials. The time span was not sufficient enough to learn all the activities of the organization properly. Therefore, it was very difficult to carry out the whole analysis. Data unavailability was the constraint. Official documents on the detail activities of the department were not available. For business secrecy confidential information, which could have enriched this report could not be given. I was There Placed For Three month But In Working days I had to spend all days for organizing there customer undertaking so I couldn’t get enough time for collecting data for my internship report. The organization is very conservative about there information, collecting primary data was very heard for me. So I have to prepare most of the part of my report based on secondary report. IDLC Finance Ltd commenced its journey, in 1985, as the first ever leasing company of the country with multinational collaboration and the lead sponsorship of the International Finance Corporation (IFC) of The World Bank Group. Technical assistance was provided by Korea Development Leasing Corporation (KDLC), the largest leasing company of the Republic of South Korea. IDLC, which has now emerged as Bangladesh’s leading multi-product financial institution, has amongst its external share-holders, international development agencies such as the Aga Khan Fund for Economic Development (AKFED) and German Investment and Development Company (DEG) besides the IFC. The other foreign sponsors include Kookmin Bank of the Republic of Korea in addition to KDLC and, all these institutions together hold 45% of the Company’s shares. 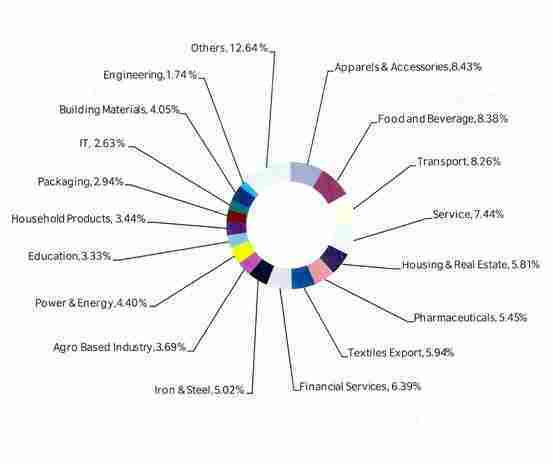 Three Bangladeshi financial institutions – IPDC of Bangladesh Limited, The City Bank Limited, Sadharan Bima Corporation and the general public hold the remaining 55% of the shareholding in this public limited company listed with the Dhaka & Chittagong Stock Exchange. IDLC is on the list of the twenty (20) largest capitalized companies in the country. The unique institutional shareholding structure comprising mostly of financial institutions helps the company to constantly develop through sharing of experience and professional approach at the highest policy making level. IDLC, as a multi-product financial institution, offers a diverse array of financial services and solutions to institutional and individual clients to meet their diverse and unique requirements. The product offerings include Lease Finance, Term Finance, Real Estate Finance, Short Term Finance, Corporate Finance, Syndicate Finance, Merchant Banking, Term Deposit Schemes, Debentures and Corporate Advisory Services. IDLC’s vision is to be Bangladesh’s best multi-product financial institution. In achieving this vision and goal, we realize the importance of taking due care of all of our constituents, particularly the share-holders, customers and workforce. The corporate philosophy is to perform with proper accountability and achieve highest ethical standards in all our activities. IDLC’s unique institutional shareholding structure, compromising mostly of financial institutions, helps the company to constantly develop through sharing of experience and professional approach at the highest policy making level. IDLC has also established two wholly owned subsidiaries, IDLC Securities Limited and IDLC Investments Limited to provide customers with security brokerage solutions and IT solutions, respectively. 2005 Strategic Alliance with SBI Capital Markets Ltd.
2006 Commencement of operation of IDLC Securities Limited, a wholly owned subsidiary of IDLC. 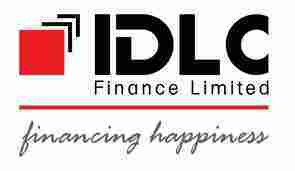 2012 IDLC Finance Ltd. Achieved “AAA” credit rating. Customer first: IDLC has grown with its customers, who are believed to be the center of all actions. As the crux of IDLC’s corporate philosophy, customer service gets the highest priority. Innovation: IDLC has continuously introduced new financial products for meeting the needs of the entrepreneurs in a complex & challenging business environment. The concept of innovation is in-built into the working culture. Professional Knowledge: IDLC is staffed with qualified professionals and innovative minds in the country. Years of operational experience, large industrial database and competent workforce have gives them unparalleled advantages. Professional ethics: The professional at IDLC maintain the highest degree of financial and business ethics in all transactions with the clients. Over the last two decades, IDLC have put in bets efforts to meet the expectations of the clients and investors. One stop solution: Work at IDLC begins with the idea generation, then goes on into the feasibility study followed by arrangement of financing to implement the project. IDLC advises the clients, finance them and even arrange financing for them via different financing modes, namely: lease financing, term loan, bridge loan, syndication, bridge loan, syndication, ordinary shares, preferred shares and debentures. delivery of top quality services. For the Shareholders: Maximize shareholders’ wealth through a sustained return on the investment. For the employees: Provide job satisfaction by making IDLC a center of excellence with opportunity of career development. For the society: Contribute to the well-being of the society, in general, by acting as a responsible corporate citizen. Goal: Long term maximization of Stakeholders’ value. Corporate Philosophy: Discharge the functions with proper accountability for all actions and results and bind to the highest ethical standards. non performing loan has been further reduced from 4.5% in 2009 and 3.62 % in 2010 to 3.07% in 2011, mainly through strengthening of the credit and collections teams and relevant process. IDLC has continued with its prudential policy of building adequate provision for doubtful accounts and future losses. In this graph we can see their market capitalization is highest in 2011. Higher market capitalization means expansion of business and as result IDLC opened their twelve new branches in recent two years. The company had to relay mainly on profit retention to support enhanced capital requirements arising from asset growth, capital adequacy. The Bangladesh Bank adoption of Basel II accord for NBFI from January 01, 2012 is also likely to exert added pressure on companies capital adequacy. Market value added statement reflects the company’s performance evaluated by the market through the share price of the company. This statement shows the difference between the market value of the company and the capital contributed by investors. This statement shows how the MVA has been calculated for the year ended 31 December, 2011 and 2010. IDLC finance limited is a strong equity based company. Emerging Credit Rating Agency of Bangladesh rated IDLC in long term rating at “AAA” and sort term rating as “ST -1”. Institution rating in this category characterized with excellent position. As in December 31, 2011 total equity of IDLC finance stands at BDT 3690 million and 2010 it was BDT 2393 million. This means the company has a strong equity against its debt. And the graph also show that the ratio of debt to equity ratio is decreasing in each year. And that is a good sign for the company to meet its obligation. The company’s equity had increased by 54% over the previous year. The company believes that superior service, diversification of client segment and business strong risk management, performance focus, ensuring sustaining financial performance and those results an increasing rate of earning per share. This graph shows every year this rate is increasing. Consorted earning per share grew by 61% to BDT 221.8 compared to previous year. IDLC finance has been paying dividend consistently to its shareholders over the years. But they pay dividend randomly according to their business policy. This graph highlights their dividend payment per share. Moreover the company has paid 110% in 2010 and 100 % in 2011. Price earnings ratios are 21.01 that indicate a good sign for the company. We know that lower price earning ratio means earring per share is more than the market value of the company. In 2011 IDLC Finance has decreased by 6.02% against 2010. Above graph shows in Each year their operating income growth increased rapidly. In 2011 operating revenue grew 58% to reach BDT 3027 million against the year 2011. Though the amount of BDT million increase in 2011 but the growth shows that there is negative growth in percentage in 2010 to2011, here the growth is 58% but the previous year growth is 62% which indicated that the operating expenses also increased. So the company should try to reduce their operating cost expenses. IDLC consolidated asset at 2011 year end stood at BDT 26.9 billion a 19 % growth over 2010. An aggressive deposit program was initiated in the second half of 2011 and by year end. So from the above graph I can say they has a optimum level of asset. That means they have the ability to meet its long term as well as short term obligations with adequate asset. The return on asset ratio of IDLC finance ltd also improved in 2011 over other four years. That we can see on this graph and the annual report of 2011. The ROA increased means the net income also increased and in 2011 their return on asset is 5.35 with a growth of 1.24%. preceding year. After having made necessary provisions for loans and advances, accordance with the instruction of Bangladesh bank net income before tax (NIBT) stood at BDT 1327million in the year under review against TK 822 million in the preceding year registering a growth of 61.47 percent. This graph shows that shareholders equity in 2011 is BDT 3690 million with a growth of 54 percent against BDT 2393 in the 2010. This graph also shows the share holder’s equity was in a steady growth 2007 to 2008. And the growth rate 2008 to 2009 was reduced against 2007 to 2008. But from 2009 it is again with positive growth. Return on share holders’ equity rose to 43.64% with a growth of 2.59% and 2011 it is the largest percentage on five financial years. And it is undoubtedly good sign for the company. This positive growth means shareholders got their optimize return on their capital. This scenario also attracts other investors to invest in the company. The current ratio of IDLC finance in 2011 is 1.39:1 with a growth of .35 times. IDLC has a optimum current ratio over the last few years. It means the company has the ability to face its short term liabilities successfully with their short term asset. Risk is the element of uncertainty or possibility of loss that prevail in any business transaction in any place, in any mode and at any time. Risk is an integral part of financing business. Risk management entails the adoption of several measures to strengthen the ability of an organization to cope with the vagaries of the complex business environment in which it operates. IDLC always concentrates on delivering high value its stakeholders through appropriate tread off between risk and return. A well structured and proactive risk management system is in place within the company to address risk relating to credit, market, liquidity and operations. Risk grading is assigned at acceptation of lending considering the industry, business financial and management risk associated with financing. The company has different committees for risk management and appropriate internal control measures are also in place to mitigate risk. Market risk refers to the risk of fluctuation in a variety of markets such as interest rates, prices of securities where the values of assets and liabilities can change and there exists the risk of incurring losses. Liquidity risk arises when a company is unable to meet the short term obligation to its lenders and stakeholders. This arises from the adverse mismatch of maturities of assets and liabilities. At IDLC, business volume risk may arise in the form of risk of falling business volumes and market share, risk of being overtaken and losing leadership position and risk of over trading which may affect profitably due to volatile revenues and reduced spread earnings, credit rating and reputation. Risk of over trading may lead to insufficient capital. Looking the payment performance of customers before financing. Adequate insurance coverage for funded asset. Vigorous monitoring of and follow up by special assets management team. Strong follow up of compliance of credit policy by credit admin department. Seeking legal opinion from internal external lawyer for any legal issues. Maintaining neutrally in politics and following arms length approach in related party approach. Regular review of market situation and industry exposure. Rivalry among the existing firms. Number of competitors: In banking and non banking financial institution industry, the number of firms is high. So, the intra-industry rivalry is high. Industry growth: The industry is growing fast in Bangladesh. From this point of view, intra-industry rivalry is low. Concentration and Balance of Competitors: As there are other dominant firms except IDLC finance ltd. in this type of industry, it cannot set and enforce the rules of competition, it can only cooperate with other players to avoid destructive competition. Degree of Differentiation and switching costs: For most of the category degree of differentiation and switching costs are low. Therefore, there exists price competition. Fixed rate: In this industry, large percentage of cost is fixed. So, the intra-industry rivalry is high. Exit barriers: Exit barrier is high in banking industry .So, the intra-industry rivalry is high. By considering all the points, we found that the intra-industry rivalry in sector is high. Economies of scale: This industry has high economies of scale. So, the threat of new entrants is low. First mover advantage: Banking industry has first mover advantage. So, early firms have absolute advantage over new firms. Thus, the threat of new entrant is low. Legal Barriers: The threat of new entrants is low because of high legal restrictions. Access to channels of distribution and relationships: Existing good relationships between companies and customers in Banking industry will make it difficult for new companies to enter in this industry. Overall consideration shows that the average threat of new entrant in Banking industry is low. Buying volume: For Some buyers who can invest in large volume have the bargaining power very high. Product differentiation: Most of the products offered by different firms in the industry are virtually identical. So, here the bargaining power of buyer is high. Production costs: As the buyers are aware of cost, the bargaining power of buyers is high. By considering all the points, we found that the Bargaining power of buyers in banking and non banking financial institution industry is high. Level of concentration: As the suppliers are highly concentrated, the bargaining power of suppliers of this industry is high. Forward integrate: As the Suppliers can forward integrate, the bargaining power of suppliers is high. Percentage of suppliers’ business: As the big depositors are low in number, the bargaining power of suppliers is high. Product differentiation: Some of the products of suppliers are highly differentiated. So, in this case, the bargaining power of suppliers is high. Switching among suppliers: In this industry, switching between suppliers is not easy and costly. Thus, the bargaining power of suppliers is high. By considering all the points, we found that the Bargaining power of supplier in Banking industry is high. Whether industry-producing substitutes are profitable or not: In banking non banking financial institution industry, the substitute product can be profitable. Price/performance relationship of substitute products: In Banking non banking financial institution industry, substitute product or service is improving in its price /performance relationship. By considering all the points, we found that the threat of substitute in banking non banking financial institution industry is high. The Company’s diversified operations and subsidiary saw a handsome growth during the year 2011. SMEs in Bangladesh have been making a significant contribution to the country’s economy. However, there is large gap between their needs and access to reasonably priced fund. Under this backdrop, they have taken an initiative to aggressively increase investment in this segment, in a structured manner to cater to the financing needs to small and medium sized business enterprise. IDLC’s SME focused branches have strengthened its financing activities in this growing sector of the country. As a part of business expansion, during 2011, they opened several branches across the country which, we believe, will contribute significantly to the management’s effort for increasing SME clients at that mobilization in that region to increase their business and provide better services to their SME clients at that region. They have also planned to set up more Branches in different locations of the country during the year 2011. They believe that setting up of these branches will help us to generate business volumes from SME markets which are mostly untapped by us, establish their permanent presence in different areas, give faster service delivery and cross selling opportunities of all their other financial products and services. Setting up of these branches, they believe, will also broaden their deposit mobilization effort. The mode of financing of SME Division of IDLC includes lease, term loans, short term financing through factoring, bill discounting, etc. During 2011 SME Division has disbursed BDT 2,712 million against BDT 1,820 million in 2010 showing a robust growth of 63%. As on December 31, 2011 the SME asset size of the Company stands at BDT 4,144 million compared to BDT 2,544 million at December 31, 2010. Company’s Corporate Finance Division which provides mainly lease and term loans to large corporate houses has disbursed BDT 1,633 million during 2011 compared to BDT 1,929 million during 2010. The year end asset of the division stands at BDT 4,638 million. As the corporate financing continued to face stiff competition from commercial banks as regard to the pricing, they are focusing more on other financing where return is comparatively better to increase the overall value for shareholders. The Personal Finance Division of the Company deals mainly with real estate finance and also provides personal and car loans to some very selective clients. During 2011, this division disbursed BDT 2,439 million compared to BDT 2,066 million in 2010. The total asset portfolio of the division at the year end stands at BDT 6,611. Although the real estate and housing industry experienced a setback during 2011 with fall sales due to non-availability of electricity and gas connections as per government decision and hike in apartment price, IDLC’s housing finance operation witnessed a reasonable growth of 15%. The in disbursements. During the year under report, their company disbursed BDT 150 million against previous year’s disbursement of BDT 148 million. This operation has, however, earned revenue of BDT 56.09 million during the period. This business is facing enormous competition from commercial banks, which are able to offer lower rates and spend large amounts of money on aggressive marketing campaigns in conjunction with a large sales force and branch network. They provide car loans to very selective and mostly clients having other business relationship with them. During 2011, IDLC’s merchant Banking Operation earned BDT 1,314 million in revenues, which is a hefty 61% higher than the previous year. The operation has earned an operating profit of BDT 616 million, compared to previous year’s BDT 190 million, marking a robust growth of 224%. At the end of December 2011, total portfolio value at cost was BDT 15,803 million (BDT 17,951 million at the market price) and balance of margin loan was BDT 5,633 million. During the year this operation has also successfully managed three issue management. Their priorities are to reduce funding cost, diversify funding avenues, reliance on conventional their and manage balance sheet gaps in a way that enable IDLC to achieve significant progress. IDLC continued to implement appropriate human resource management policies and practices to develop its employees, and to ensure their optimum contribution towards the achievement of corporate goals. At IDLC, we believe that their Human Resource (HR) give the organization a significant competitive edge in terms of knowledge and experience. Keeping this in mind, they continued their policy of recruiting the best people and implementing programs to develop and retain high quality human resource. IDLC Finance Limited commended its journey in 1985 as the first leasing Company in the country. With its pioneering role, IDLC has made the lease financing popular in the country and developed the leasing industry, which has total investment more than BDT 250 billion now, as a vibrant financial intermediary in the medium term financing segment in the country. IDLC is continuously increasing its focus on financing to small and medium enterprises (SME’s) the engine for growth for any developing economy. During the year under report, the Company has deposited BDT 575 million to the Government Exchequer as corporate income tax, withholding tax and VAT. The importance of sustaining and improving performance is increasing day by day particularly in an environment which is characterized by rapidly flourishing technology and its growing application to banking and non banking financial institution tremendous competition, product development, shift in marketing strategy, deregulation & globalization on the one hand, and escalation in the number of bank failures accompanied by mergers and mega mergers on the contrary. In order to keep abreast with the prevailing market scenario it is necessary to develop a comprehensive performance evaluation system. Performance Evaluation System means a mechanism for improving the likelihood of the organization successfully implementing its strategy. It is a process to have the goal of strategy implementation. In this process senior management selects a series of measures that best represent the organization’s strategy. The current report aimed at critically examining the Performance of a private financial institution. The main objective of this report was to evaluate the financial analysis of IDLC finance ltd. along with how efficiently are providing services to its customer. From Financial Analysis it has been seen that the performance of IDLC finance ltd is really satisfactory.